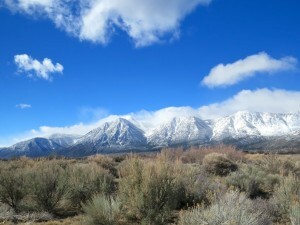 Sagebrush landscape in Carson Valley, Nevada. Photo credit: Flickr user loren chipman. The presidential election has changed the political landscape both nationally and in the states we work. As we continue to make sense of the changes, what hasn’t changed is the commitment of many state leaders – Republicans and Democrats – to protecting our nation’s treasured landscapes. In Nevada, the state just made a second wave of funding available to Nevada landowners who enhance and restore high-quality habitat for greater sage-grouse. This funding supplements an initial $1 million made available earlier this year to fund the first four credit projects through the Nevada Conservation Credit System (CCS).